Artiom was raised in a distressed neighborhood where he spent most of his time hanging out with friends on the street or feeling bored on the beach. 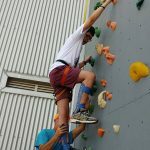 Now, at the age of 18, after coping with and recovering from cancer, Artiom is determined to enjoy life to the fullest. He takes every opportunity to go on adventures, to read interesting books, and to help others. 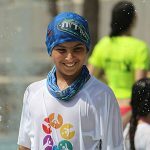 As someone who was supported by Larger Than Life throughout his fight, Artiom now volunteers with our community, serving as a counselor and mentor to other children with cancer at our annual summer camps. His goal in life is to encourage people to open their hearts to others, and to live every moment to the fullest. Artiom attributes the change in his attitude to “Returning to Life”, a Larger Than Life empowerment program designed for cancer survivors ages 18-30, which aims to help participants return to normal life after beating their illness. Most recently, Artiom enjoyed a final voyage to the Netherlands, where he and other Returning To Life participants spent 8 days sailing and having fun.